Turns out, there's more to video game coverage than review scores and top tens. Who knew? 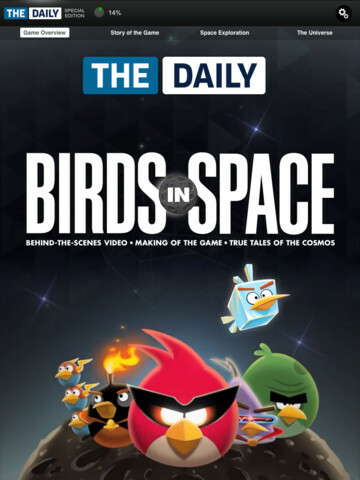 Just downloaded The Daily's Angry Birds Space Guide for iPhone and iPad, and man, this thing could have a huge impact on the world of video game journalism. Available for free, the informative app gives you the skinny on one of the year's biggest titles, with in-depth looks at the characters and gameplay. 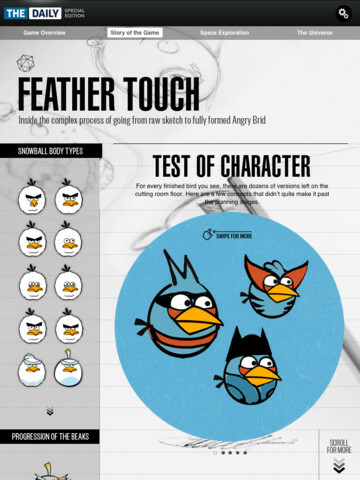 Thing is, the guide goes well beyond that, as The Daily's writers imbed insightful videos explaining the game's creation, footage of publisher Rovio's studio and an article about space exploration. Finally, as icing on the virtual cake, there's a wonderful 360 degree view of the Milky Way, a must see for people in Los Angeles. You know, where the only visible stars are in Hollywood. Journalists sometimes talk about covering video games in new and revolutionary ways. They get off to a rousing start by creating super teams of writers and launching websites with unique layouts. Images get bigger and text zips all over the screen, but at the end of the day, it's the same exact thing from several years ago, just laid out in a somewhat different way. 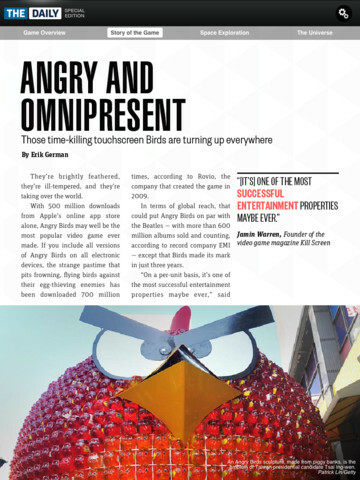 The Angry Birds Space Guide is the first thing we've seen in a long time that shows a glimpse at what the future of coverage may be. Imagine something like this for the next Infinity Blade, or on the console side, Mass Effect 3? How many fans would download that, free of charge, to their smart phones and tablets? We imagine quite a few. At the end of the day, something like this needs to be profitable. We don't envision a company pumping out preview apps without money coming from somewhere. For now, it's a great idea that's a heck of a lot better than what most (perhaps all) video game websites produce, and we applaud The Daily for releasing it, and of course to Rovio for granting its staff access.